This book is from 1943 and is, of course, somewhat influenced by the war. Cherry is a young girl who wants to become a nurse and this book tells about her first experiences. It goes into how she makes friends, what types of things she is expected to do, and various problems that arise for her. It also tells how she had gotten interested in nursing. She has a lot of work to do and, at times, gets reprimanded. She misses her family, of course. 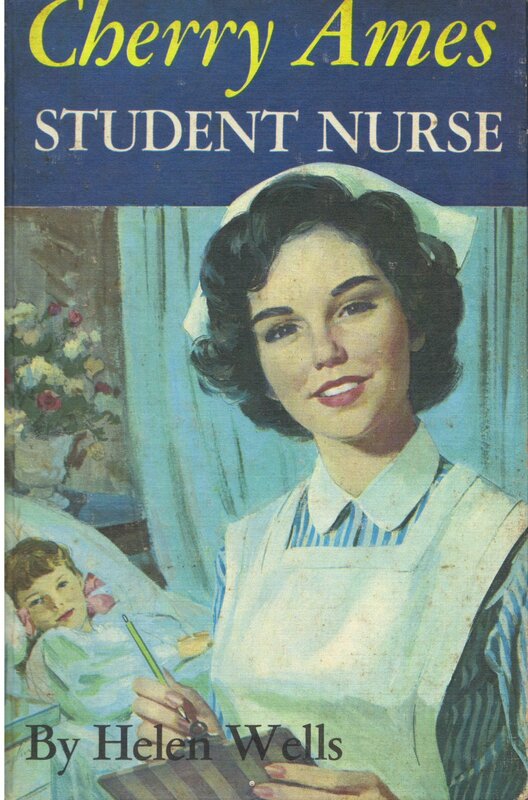 The book is one which is obviously meant to influence girls to get into nursing. The best word to describe the book is 'nice.' It's a word that doesn't apply to much of anything in today's world of books.